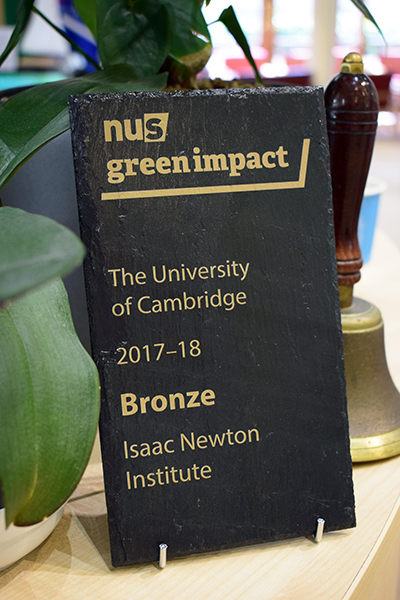 The University of Cambridge launched the Green Impact Accreditation Scheme to encourage departments and colleges to reduce their environmental impact through a set of clear and achievable criteria related to water, waste, travel, energy, food, and other areas. 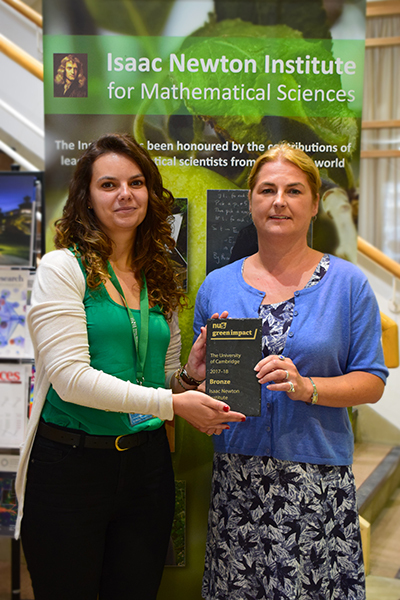 In 2018 the Institute was awarded a Bronze Green Impact Award, our first step on the Scheme. With support from the Environment and Energy team, we have implemented a number of actions in the building aimed at engaging staff and visitors and encouraging simple behavioural changes. The INI Green Team will continue to work towards Silver and Gold awards. Sets of recycling, compost and general waste bins are available in the building along with a photographic signage to guide visitors. 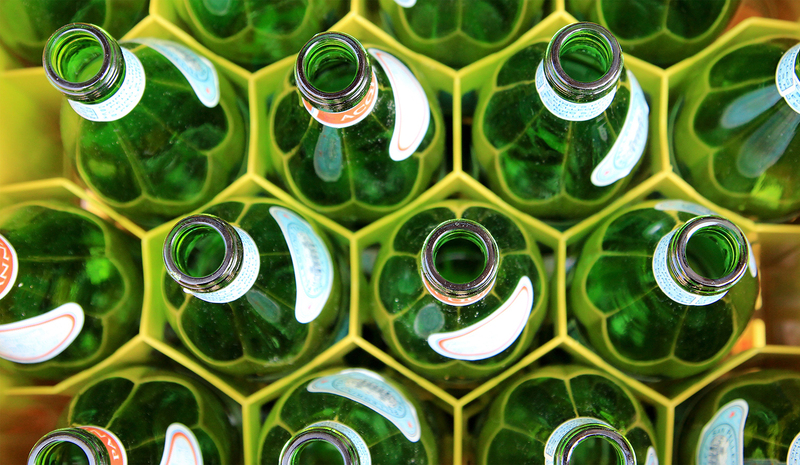 No single-use plastic bottles are sold in the Institute. There are reusable water bottles for sale to encourage participants to use mains water and reduce the use of disposable plastic. We use reusable plates and glasses where possible. Only plant-based disposable crockery and cutlery are used when catering for workshops. Printers set up to duplex. Signs throughout the building encourage energy saving. Collection of stationery items for appropriate reuse and recycling. Collection of plastic bottle tops for donation to Barnardo’s charity. Staff have access to a pool bicycle which can be booked out to cycle to events, meetings etc. 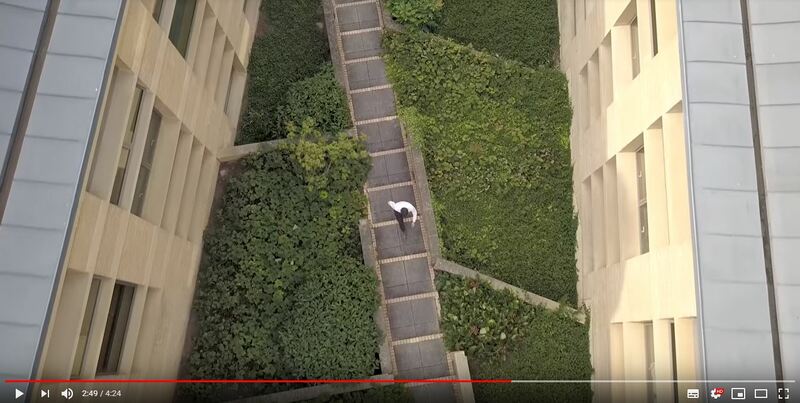 a short film created by Cambridge University and the Green Impact initiative.